Here today we've got the most popular Korean lager. Hite (pronounced height NOT he-tay) Ice Point. It's a lager made from rice, like Budweiser and most of the other Korean beers. Interestingly only 2 of the mass produced beers in South Korea are made with malted barley. This has led to criticism that the North Korean lager, Taedonggang, is actually a better beer and the subsequent ceasing of it's import to South Korea. Whenever I go to the Korean restaurant near work this is my go to beer. Subsequently I'm quite familiar with this beer and can confirm that it goes very nice with spicy pork bulgogi and a few other Korean specialties. If you're around the Abbotsford area and not after Vietnamese check out Seoul Soul. Rumours are that this beer is soon to be sold at Dan Murphy's, watch this space. 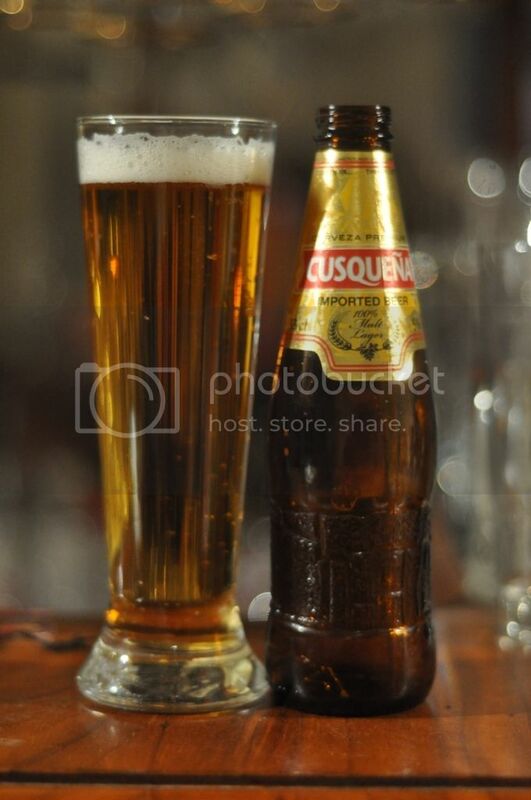 The beer pours a deep golden colour with a nice frothy head of white foam on top. The head retention is normally good and this time was no exception either. There was good lacing for the style with one side of the glass covered in a nice even webbing of foam. Taking all things into account, it's quite hard to find where to take points off for this lager's appearance, it's excellent! Unlike many lagers Hite Ice Point does have an aroma. The most noticeable element on the nose is the grassy hops, which appear to have good bitterness for the style. There are also some sweetish smelling malts, which I'm assuming must be rice with a bit of corn thrown in for good measure. While not necessarily pleasant. it's not an offensive aroma which is the main thing for me. 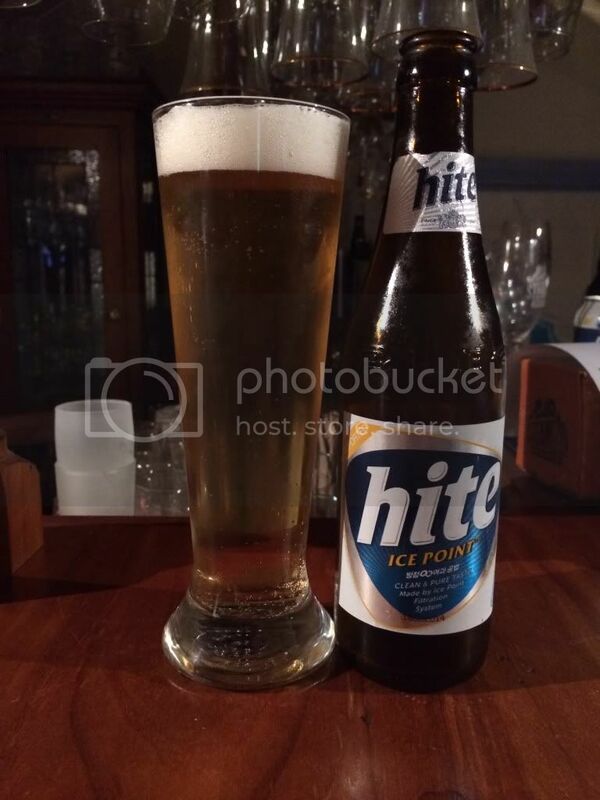 Hite Ice Point is a solid, easy drink lager. As with most macro lagers it's more a case of what defects aren't there as opposed to what's really a standout. The malt/rice/corn base is overall slightly sweet although there clearly are some sour grains in the mix. The hops are nowhere near as potent as the nose would have indicated and they provide minimal bitterness. The carbonation is maybe a little lower than you'd normally expect, but this just helps the mouthfeel and drinkability. As far as Korean beers this is my favourite, although I have only had 2... It's a stereotypical Asian lager, with an overall sweet flavour with only the tiniest hint of hop bitterness. The carbonation is thankfully low and it's a beer that I think you could easily drink a lot of in a single sitting. If you're into other Asian lagers this might be one to check out when Dan's begin to stock it soon.